Is there a better alternative to Tramdock? Is Tramdock really the best app in Arts category? Will Tramdock work good on macOS 10.13.4? 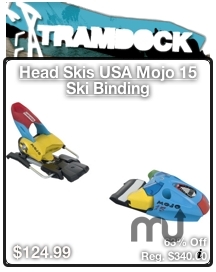 Tramdock: Skiing gear and apparel deals A site dedicated to selling the best in ski, telemark and snowboard gear for the best prices. From the people who brought you Steep and Cheap, Whiskey Militia and Chain Love. At least 50% discounts changing every five minutes, one item at a time. The widget also incorporates Growl for notifications. Install Growl to get an item notice as soon as it appears. Fixed for a bug in tramdock's HTML. Tramdock needs a rating. Be the first to rate this app and get the discussion started!